Elite Investigation and Protection Agency is committed to understanding the security needs of our clients. Our clients range from multi-national corporations to foreign diplomats and royalty, and we recognize that the needs of no two clients are the same. As unique as the situations of our clients, so are the approaches we take to ensuring their protection and well-being. Elite IPA provides physical protection to diplomats, foreign royalty, celebrities, athletes, businessmen, individuals and families. 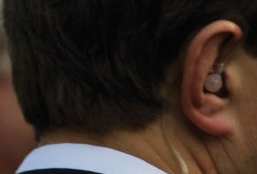 Clients have the option of having a detail of close protection agents permanently assigned to them, or are provided close protection agents on assignment per the clients' needs. As part of the mission of preventing an incident before it occurs, we rely on careful advance work and threat assessments, developed to identify potential risks to our clients. Advances in technology and our international network significantly enable us to provide a safe and comfortable experience. We also address the role and inherent vulnerabilities of critical infrastructures, potential terrorist activities and up to date reports on regional problems upon which dynamic security plans are built and continually evaluated. Gone are the days of the sloppy, lazy, half-asleep security guard. 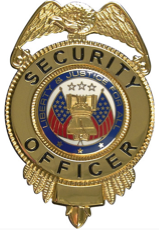 As a full service security agency, Elite IPA is dedicated to the employment and ongoing training of the finest armed security officers that Virginia has to offer. Our extensive screening and training of each officer in our agency is second to none in the state of Virginia. accommodate formal or informal settings. Our world today poses challenges and threats that are ever evolving and always increasing. We consider the training and preparation of our Elite team as paramount in the deterrence and prevention of any persons seeking to harm our clients. Our agents are highly trained professionals in a constant state of training and evolution. Each of our agents meets our own agency requirements in fitness and defensive tactics, far above the industry standard. We do not compromise when it comes to the selection of our agents and are committed to keeping their skills honed and mission ready. We can provide a high profile security detail for maximum effectiveness as a deterrent to potential threats, or a low profile detail with agents who will blend into any surrounding. Our management team is committed to the utmost discretion and we consider ourselves confidants of the highest order in relation to each of our clients. Our operations are efficient and practical, tailored to the individual needs of our clients. 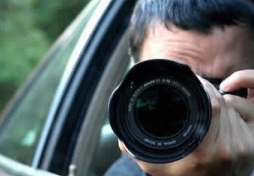 As a full service security agency we have vast resources, including counter-surveillance teams and private investigators, ready to deploy at any time. Our network is multi-national and we are equipped to provide world wide protection for our clients should the need arise.